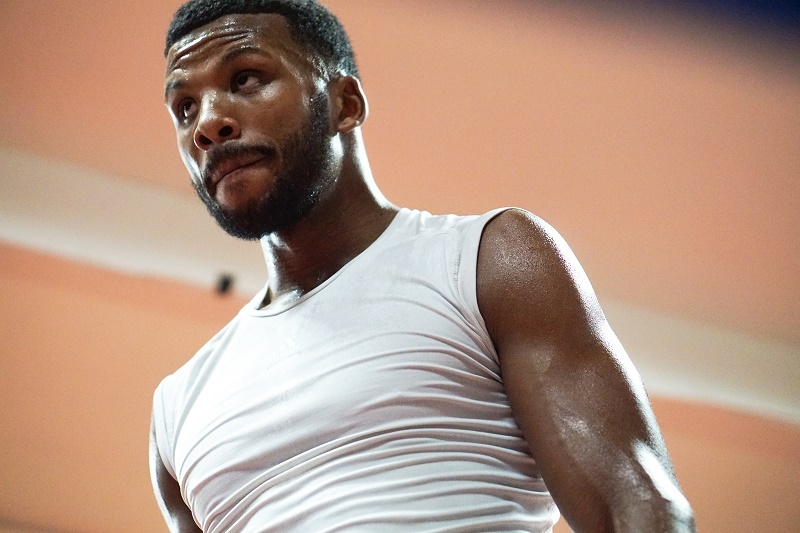 Super middleweight champion Badou Jack spoke to media in Las Vegas just days before he travels across the country for his world title unification showdown against James DeGale on Saturday, January 14 from Barclays Center in Brooklyn and live on SHOWTIME®. Televised coverage on SHOWTIME begins at 9:30 p.m. ET/6:30 p.m. PT with super featherweight world champion Jose Pedraza defending againstundefeated contender Gervonta Davis. Joining him at the workout at Mayweather Boxing Club was former title challenger Thomas Dulorme, who opens up action on SHOWTIME EXTREME in an eight-round welterweight bout against Brian Jones. Televised coverage on SHOWTIME EXTREME begins at 7 p.m. ET/PT and is headlined by junior featherweight world champion Amanda Serrano against former world champion Yazmin Rivas and also features Ievgen Khytrov battling Immanuwel Aleem in a 10-round matchup of undefeated rising middleweight contenders.